This is a post that I've wanted to write for a long time, probably for about a year. There's a reason to why I haven't posted it until now, a bit of a cycle if you want. Event happens that forgets or discriminates against disabled people > I get annoyed and frustrated > go to write post > don't write it in hope that next time things will be better. Well, they haven't got better and I've been getting so frustrated about things that I've ended up in tears sometimes. What I'm about to say is something that I know I'm not alone in thinking. Most days on Twitter I see fellow disabled people addressing this issue of disability being left out of people's diversity and every single time I see the tweets ignored or not given the recognition such an issue deserves. Either people don't care or they spend their time dismissing the idea that disabled people are being forgotten. It was probably last year during the Oscars that this issue really started to get to me. Debates about diversity were started over the fact that the awards were extremely white and once again there was a failure to nominate black or minority actors for the top awards. However, disabled people were completely left out of this conversation, despite the fact that disabled people make up the largest minority group in the world. You're probably wondering how we can be forgotten then? Quite easily, especially when we also have issues going on like able bodied actors playing disabled characters without anyone (minus disabled people) really caring about the problem or even why it is a problem. If you don't believe me then read this statement from Academy President Cheryl Boone Isaacs that was released last year after the issue was brought to light. Pay attention to this sentence: 'In 2016, the mandate is inclusion in all of its facets: gender, race, ethnicity and sexual orientation.' Disabled people should have been included in that list but they weren't and the fact that it is stairs that lead up to the Oscars stage is enough for me to see that such awards are not for people like me and I doubt they will be anytime soon. When big organisations like this aren't even including disabled people in their diversity then it doesn't set up a good base for other places to do the same. After that I started researching into more areas where diversity was improving but disabled people were still being left behind. I found articles about growing diversity in theatres in the UK, articles that also addressed the worrying statistics that showed that this did not include disability though. It's not enough to make your theatres accessible for audiences, you must enable us to perform on stage too. I then came across US articles that talked about the fact that disabled people were left out of supposedly diverse and inclusive Super Bowl adverts made by companies like Coca-Cola. 20% of the US population is disabled so how is it okay to forget and exclude them? I've also found countless articles that talk about people sitting on diversity panels and boards that do not have a single disabled person on or even mention disability during their talks. Then about a week ago I came across a Buzzfeed video and for me that was the final straw. The video is called 'People Re-Create Iconic High Fashion Ads' and the idea was that a group of diverse people recreated adverts that usually don't include such people. I thought, great, really good idea! Then I watched the video. Disabled people do not even get a mention in the video, let alone actually having a disabled person in it. I took to Twitter to share my feelings and I got a few replies from similarly shocked, upset and frustrated people but once again, it seemed that people just didn't care. Honestly, I'm so sick of this. I'm sick of not seeing myself in the media. I'm sick of being forgotten, ignored and excluded. But, what I'm most sick of is seeing people sit back and ignore the issue. Most of the time it is only disabled people that are speaking up and fighting and we know from the past and present that we aren't a group of people that are typically listened to. Most able bodied people are ignoring the issue but then we also have a small group of people that are even saying the issue doesn't exist. It's so frustrating and I've had enough. No one wants to be forgotten and no one should stand back and let people be forgotten. Bizarrely the most accessible theatre I've been in is owned by the local amateur dramatics company and was built around the turn of the century. I was able to wheel directly onto the side of the stage and see the view from the other side! They also have the most amazing wheelchair space for watching their plays, right in the centre, best seat in the house! Kudos to Bolton Little Theatre. That's really good! Also need to be getting disabled people on stage though, performing! This post lit a fire inside me. You make so many amazing points and I feel your frustration so hard after reading this. As an able bodied person I feel like I should be using my voice more to speak up for disabled people as much as I can. This post is a real inspiration. Exactly the kind of reaction I was hoping for! I really feel this. Our uni graduation venue is completely accessible, not just in getting onto the stage but in getting into the venue, makes me really angry. And like you said, it's only disabled people campaigning to get it changed, and noone is listening. I assume you mean inaccessible? That really is awful, I have a friend who had to come on from the side of the stage at her uni graduation, all we want is to be equal to everyone else, nothing special! Oops yeah, inaccessible! The alternative venue we could use has bumpy floors so is "unsuitable for disabled people". Now I know that's still not ideal/accessible for some people, but I'd take a bumpy floor over 2 flights of stairs! Universities really need to do better! 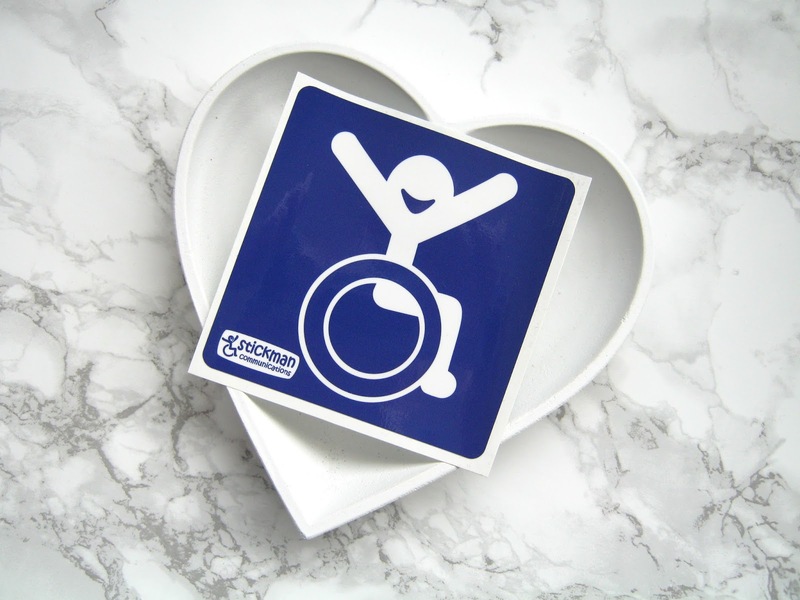 Another fantastic post addressing the issues disabled people face everyday. I would love to see disabled people represented in the media but unfortunately I don't think anything will change anytime soon as so many people ignore the issue! A brilliant post Shona. I read it this morning and have been thinking about it all day. I'm embarrassed to realise that I simply haven't noticed. Thank you for shaking me up and please keep going. Wonderful post Shona, I completely agree. 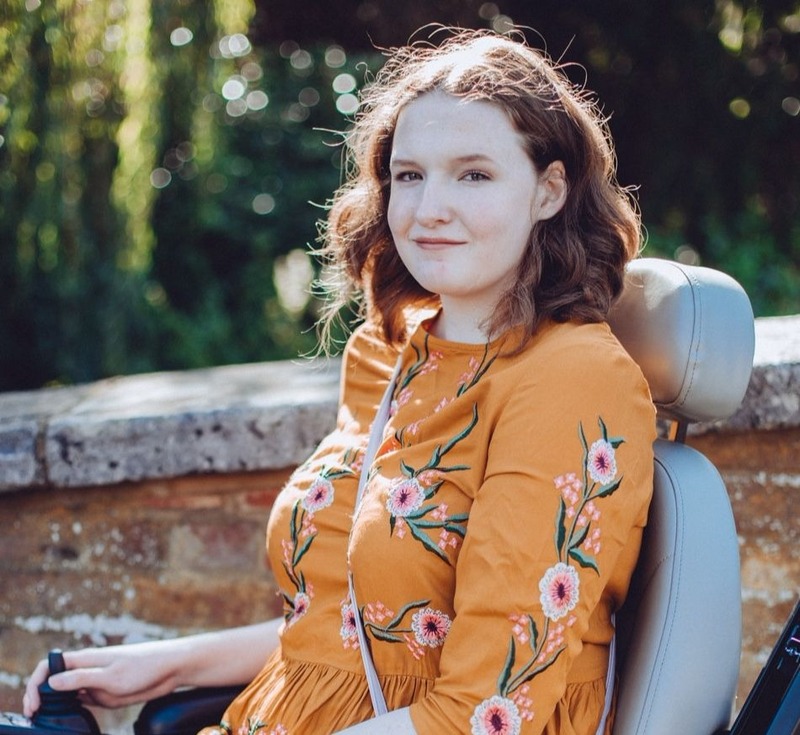 I'd love to see more representation for disabled people in the media, hopefully one day we'll get to where that doesn't need to be said!